Let’s face it. You won’t win friends and influence people if they don’t like you. And, encouraging prospects to like you quickly is a key factor for telemarketing success. But, that’s not so easy to do. Customers are bombarded, not only with cold calls but all manner of other messages including emails and other interruptions to their daily life. They’re busy. And, if what you’re calling about isn’t a priority, your disruption could cause them a lot of displeasure. So, what’s the solution for how to build customer rapport on the telephone? To some extent, there isn’t always an answer. Some customers will just be hassled and will dismiss you quickly. But, there will be others that could be encouraged to engage with the right approach. It’s these prospects that we’re concerned with in this blog. The ones who are on the fence; the ones that do have some time to talk if you get it right. In other words, prospects that could be your next best customer. It’s a fine line. Cold calling can be a thankless task with lots of rejection, that you need to learn how to handle, and few opportunities to show off your sparkling rapport-building skills. Given that, to some extent, it’s a numbers game, when a caller does eventually get to speak to the right person, it can be tempting to rush into things. It can also be hard to build momentum if your decision maker is difficult to reach and you’re not getting practice by speaking to lots of them. It’s fair to say that timid doesn’t work when it comes to sales. That’s not to say that a brash, arrogant demeanour works either. But, self-assurance is a helpful aide to successful calling. It will stop you dithering and hesitancy is a sure fire way to blow any chance of success. You have very few seconds to make an impression and confidence in your ability to meet challenges head on and to hit your targets certainly helps. Whilst confidence in yourself is a prerequisite, belief in what you’re saying is also key. Whether you’re promoting products or services, the conviction that there is a genuine benefit to the prospect is important. Faking it doesn’t really work. If you have something that marks you out over and above the competition, all the better. It will come across in your tone and approach is more compelling in terms of approach. You’ve got very little time to create the Impact you need. So, that means working really hard on your intro. It shouldn’t be scripted and stilted, and you should ideally make an effort to differentiate your opening words from other callers. Too many telemarketers are stiff and formulaic in their approach. They sound like every other cold caller and are easy to dismiss due to the same tired old patter. So, make your introduction different. Spend time to consider why the prospect would want to talk to you, especially if they already have a solution to what you offer. And, don’t forget that it’s about both differentiating what you offer / say and how they relate to you personally. If you sound the same as everyone else, chances are that you won’t see much success. After your intro, what do you do next? Do you prattle on about your products or services? Do you bombard the prospect with superfluous information? Do you pause for breath? 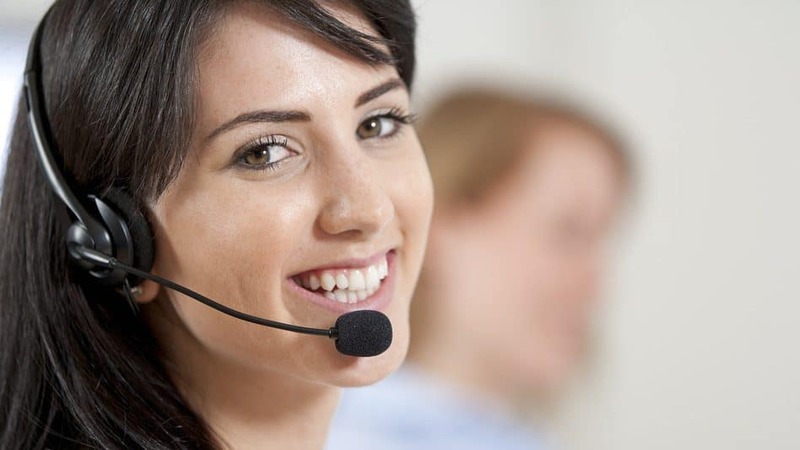 These are common problems in ineffective telemarketing. That’s not what a buyer wants to hear. Even those that are not currently in the market for your services might respond to a well-tailored question that leads to an open conversation. And, if it opens the door to a possible future need, e.g. When they may be reviewing suppliers, then it has done its job. So, after your intro where you have grabbed their attention, ask a really good question to get them talking. It’s all well and good asking a good question. But, human beings are often guilty of not listening. Have you ever asked a question and supposedly listened to the answer only to find that you weren’t concentrating and missed some key detail in the reply? We can all be guilty of planning our next sentence while the other person is talking. Active listening is vital. That not only includes facial expressions like nods and smiles but also verbal cues like ‘I understand’ or even ‘hmm’. Make sure you listen with your eyes and ears and take notes if you struggle to retain the information. It will help your ability to build rapport. What is warmth? Is it a level of interest in the other person? Does it manifest in your tone? Or is it something else? Ultimately, it’s a blend of things. But, what it most certainly isn’t is a single-minded style of telemarketing that portrays the caller as only interested in themselves. Often, sales people simply come across as hard-nosed or insincere. Warmth is about genuinely offering help and support. It’s about really demonstrating interest. It is less about selling and more akin to consulting. Develop empathy first and the sales opportunities will follow. Good sales people don’t pitch. They don’t oversell. They hand perceived power to the decision maker. They diagnose before providing suggestions. That doesn’t mean they lose control. They should steer and lead the conversation and pose diagnostic questions at the right time. They do that and, at the same time, make sure that the prospect feels that they are in control. That means asking sincere but penetrative questions that unearth and magnify issues that encourage the decision maker to open up to your solutions. This is such a big subject but no blog related to rapport on the telephone would be complete without a word about communication skills. In truth, communication is a blend of everything we’ve explained in this blog. But, it’s also the ability to get your message across. It’s not interrupting. It’s listening and mirroring. There’s nothing sweeter that feeling you’re on the same wavelength as the person to whom you’re speaking. As a sales person, that includes taking the information provided by your customer and playing it back to them using the same or similar language. It means summarizing what they’ve said. It means matching pace and tone where possible. Clearly, we can’t cover everything you need to build rapport on the telephone in this short blog. In addition to the above, you need to remain positive at all times. You need to relax into the call and not rush. You need to keep calm. Equally, it’s important to be focused and avoid distractions. The use of their name, with the right frequency, will enhance your call and empathy. You will also need to be flexible based on differing circumstances and not take a rigid approach.